Once a year, a group of the world's leading scientists, clinicians and advocates gather to share the good news about advances in breast cancer research. This year's Era of Hope conference attracted 1,600 experts who shared new understanding about breast cancer risks, treatments and stopping the spread of a disease that affects millions in this country and around the world. The objective of this scientific meeting, hosted by the Department of Defense Breast Cancer Research Program (BCRP), is to expand the horizons, push the envelope and recognize innovative, high-impact breast cancer research and discovery. This information is so important, dailyRx.com is producing a multi-part series on this conference that will highlight key presentations. Here are highlights of this year's Era of Hope (EOH) conference regarding breast cancer risk factors. Melissa Kaime, M.D., Director of the Congressionally Directed Medical Research Programs (CDMRP) says research presented at this year's conference provided new insights into hereditary and genetic risk factors. These studies pave the way for targeted interventions that could be developed to lessen these risks and treat the disease should it appear. 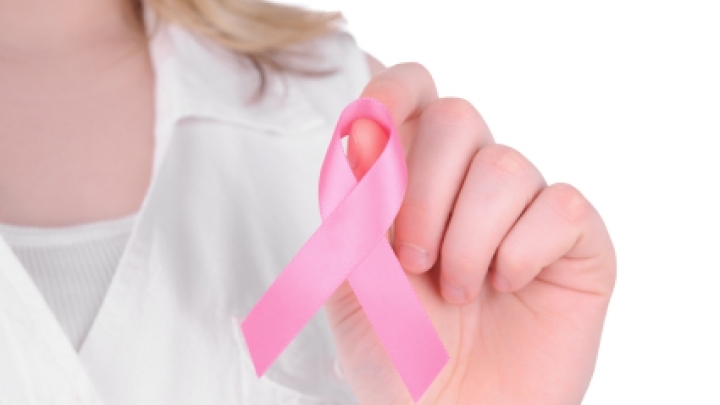 Most breast cancer studies relating to genetics have involved white women. And while this has been groundbreaking research, the findings don't necessarily apply to black women. Christopher Haiman, ScD of the University of Southern California, conducted a study to identify and map the biomarkers (proteins that signal the presence of disease) found in women of African American descent. This study found three markers that will improve the ability to predict a black woman's risk of developing the disease. Haiman says he's conducting additional research to refine these findings and identify additional risk factors for African American women. Not having enough vitamin D in your body has been thought to be linked to increased risks of breast cancer, and other health concerns. Low levels of this essential vitamin show up most often in triple-negative (TN) breast cancer. TN breast cancers are so named because they test negative for estrogen receptors (ER-), progesterone receptors (PR-) and the HER2 (HER2-) gene. Because none of the known breast cancer drivers are present, TN doesn't respond to current therapies. Black women usually have significantly lower levels of vitamin D than women of European ancestry, and it's thought this may explain the dramatically higher incidence of TN breast cancer in African American women. Researchers from Roswell Park Cancer Institute in Buffalo, New York conducted a first-of-its-kind study to examine the relationship between vitamin D levels and breast cancer. In addition, the team examined a genetic variation in the vitamin D gene receptor (single nucleotide polymorphisms - SNPs) that impact disease risk and treatment response. The team, led by Song Yao, Ph.D., found that women with breast cancer had lower levels of vitamin D, and those with TN breast cancer had the lowest levels. Severe vitamin D deficiencies are nearly six times higher in black women than in white women. Two SNPs were also found to be part of the explanation as to why African American women are more prone to ER- breast cancer. Conversely, researchers found that for every 10 ng/mL increase in vitamin D, there was a 64 percent decrease in risks of having TN breast cancer. Yao says more study is needed to learn if maintaining adequate levels of vitamin D will decrease these risks and this racial disparity. Taking vitamin D supplements may help. Recommended dosages range from 600 IU to 4,000 IU. Triple-negative breast cancer, which strikes black women disproportionately, has such a poor outlook because at this point there are no targets to treat. That is, there are no medicines that can block whatever is causing the cancer to grow. That may be changing, though - thanks to the work of researchers at Brigham and Women's Hospital. Stephen Elledge, Ph.D. and colleagues have identified a gene that may become a target for new therapies. This gene is known as PTPN12 tyrosine phosphatase, and its job as a so-called "tumor suppressor" is to stop a step along the path to cancer. This gene suppresses the growth of cells that's generally seen in TN breast cancers. Elledge explains that restoring the protective function of this gene could keep malignant cells from forming tumors and spreading the cancer. Elledge says this research not only improves the understanding of TN breast cancer, but could lead to the development of targeted therapy for improved treatment of this disease. It should be noted that all research findings are considered preliminary until they are published in a peer-reviewed journal. The next installment of this multi-part series will highlight recent research showing how a woman's diet during pregnancy can reduce breast cancer risks in her offspring. BRCA Mutations: Who Should Get Tested? Can a Study of a Million Women be Wrong?